Lightroom 4 Beta is out! Some key changes include videos, maps, books and more! Also, while you’re at it, check out NAPP’s Lightroom 4 Center. 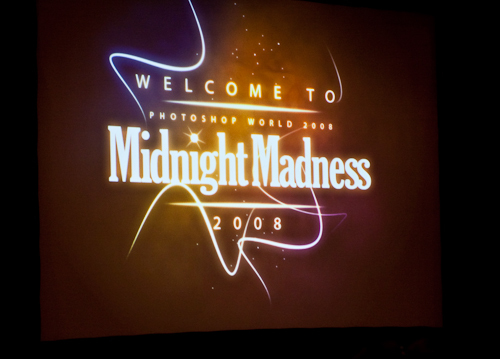 Photoshop World ’09 Boston kicked off today with its popular Keynote. One of the new things NAPP did this year is to have a live blog. Check it out now to know what’s new this year. This is only available to NAPP members and it’s using Adobe’s Extension Manager. Don’t feel bad if you’re not a NAPP member. You know you can always join now and get some goodies free with your subscription (usually a DVD). Plus, you get 8 issues of Photoshop User Magazine. Before I forget, one of the new benefits you get from being a NAPP member is this — a fee online class from Kelby Training each month! Okay guys, hope you enjoyed the first part. 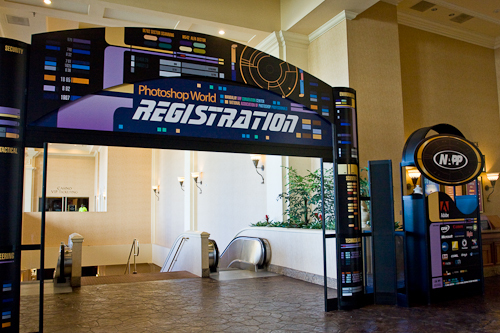 Now, here are more exciting reasons why you should attend Photoshop World! Believe me, I knew this was important but I never knew how big of a deal this is after I had done this. I read the description of portfolio reviews in the PSW site and I was kinda intimidated to sign-up. Finally, Ekky (my avid fan, supporter, fiancee) made me sign-up and said that I should take it. Well, I did. So, to all you first-timers out there who plan to do this, here’s a glimpse of what happens in a portfolio review. you basically go through your images and then you get a critique of your photos — your composition, your shooting style, clarity, colors, etc. I then opened them up in Bridge. Oh, before I forget, when you sign-up for this, you actually have to fill out a short questionnaire. This is for the PSW team to identify the field of photography you are into so that they can also find a match to the reviewer. Make sure your photos are really sharp. There are times that photos might be blurry because you denote motion, but make sure the subject is in focus. Composition is important: Crop your photo to communicate the vision you have. It doesn’t matter if it doesn’t conform to the traditional sizes – 4×6, 8×10…. Photoshop is your friend. There are times that there are unwanted objects in your image. Make sure that you clean them to remove any distractions. I usually don’t do this because I usually just use Photoshop to fix the colors/saturation and to apply sharpening. But this is a good tip to me. Pay attention to all the small details. Rick pointed out some minor things that I could clean up in my images. I never noticed them myself but with him there, it was a welcome feedback. I can’t begin to stress how important this review was. It’s really a great opportunity to have great photographers look at your work and give you straight-up feedback on what you need to improve on. Btw, Scott actually had his portfolio reviewed by Joe McNally. Read his blog post about the review to find out more. If you’re interested in this year’s Portfolio Reviews, check out this link. 1st day: You wake up early either to (a) register and get your materials and (b) to make sure you’re in front of the line for the Expo. I’ll talk more about the expo in my next point. 2nd day: Again, you wake up Earlier because you want to line up for the tickets to Midnight Madness! I was there at around 6am and there were already around 5 people in front of me. It’s fun though because this is one of the opportunities you get to mingle with fellow attendees. 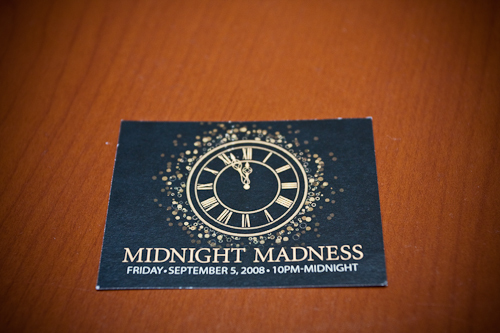 What exactly is Midnight Madness? I tell you, if you just want to laugh and enjoy the night, go to this event. Last year, because I attended this, I was able to see some of the behind-the-scenes videos that the video team created. They don’t show these videos to everyone else, so you’re special! One of the funny videos there was Corey Barker Rick-Rolling! Note: the link here takes you to the You Tube video posted by ‘The Scriv’. 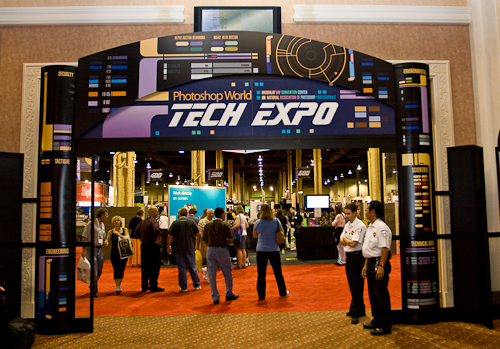 The Tech Expo is probably where you’ll spend a lot of your time and $$$. The is the busiest place in the event when there are no classes. If you often wish that you are able to try a photography product — be it software, plug-ins, actual prints, tripods, lenses, cameras but you just don’t see everything in your mall or you only rely on online reviews, then this IS the event for you! MPIX and WHCC prints: I was able to check out how well their prints are and the different materials they have. They also give out samples of their prints so you know exactly what to expect if you order prints from them. 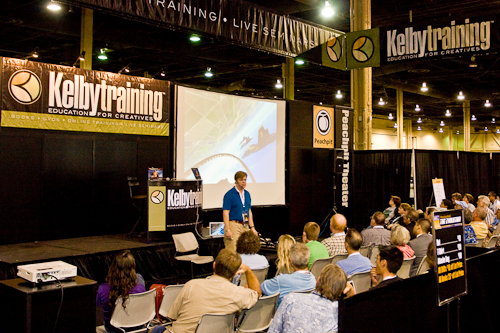 Kelby Training: They setup workstations where you can see the online classes. 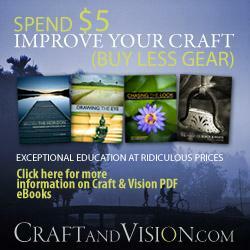 Plus, they have some great deals and promos if you sign-up during the PSW event. I was able to get a copy of the Pre-Con workbook at the bookstore. They give this away to people who attend the pre-con and the supplies are limited. Adobe: as one of the sponsors, they usually have a booth where they hold tutorials and demos of the Creative Suite products and Lightroom. Canon and Nikon was also there. At that time, they were still quiet about the 5D Mark 2… but I was able to try out the 50D and the 135mm f2 lens (which I own now). Camera accessories like Really Right Stuff ballheads, bags, and tipods were also there. 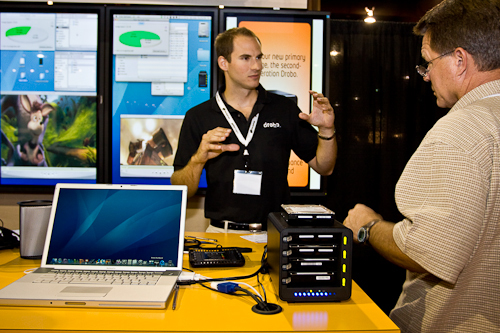 Drobo had a booth too. I actually tried removing a hard drive from it to see if it really works… of course it worked fine! 🙂 Unfortunately, I didn’t get one. Too pricey for me at that time. Lighting Equipments were also there. 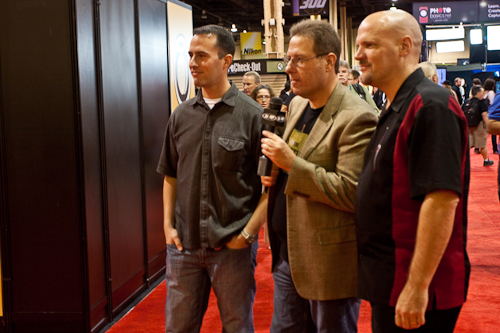 I remember Westcott was in the middle and Scott gave a demo of their new lights. Before I forget, if you sign-up early, you can actually request for a free pass for a companion of yours to the Expo. That way, you’re not alone. If you have friends who are in the area, they can avail of these special discounts just by attending the Expo. 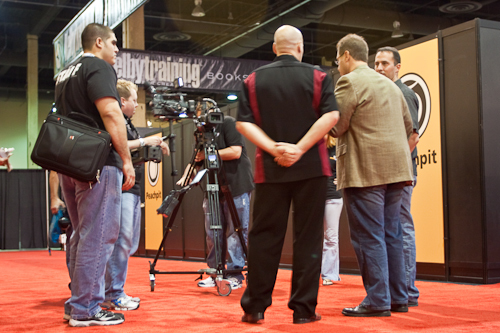 Oh, don’t forget to check out the classes and demos during the expo. Folks at NAPP and other instructors like Terry White, Joe McNally, Julieanne Kost usually do demos too. Free classes! 🙂 Take advantage of it. The opening: could be a video, presentation or a spoof done by the Photoshop Guys. 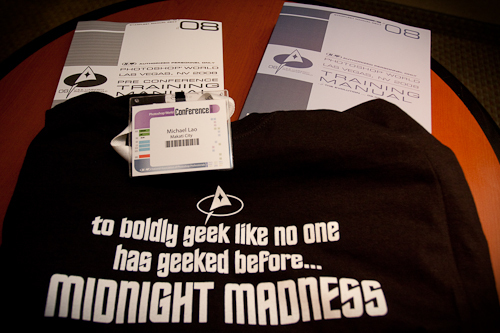 Last year, it was Star Trek… pretty funny! Check out some photos of the keynote from my earlier post. Hah, it’s been a pretty long post so I’ll be short and sweet in my last point. To be able to meet ‘The Photoshop Guys’ — Scott, Matt and Dave in person, talk to them, see them teach and watch them tape an episode is… priceless! That alone is worth the trip and the attendance to the event! Don’t forget to check out my photos with the Photoshop Guys! Hope you enjoyed my lengthy post. 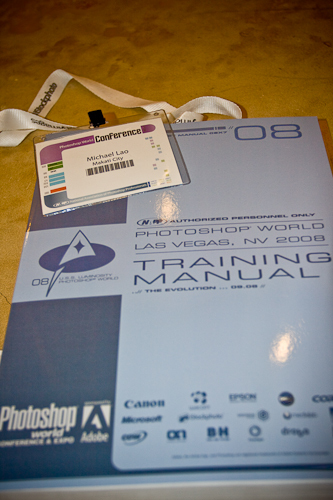 It’s no secret that I attended last year’s Photoshop World at Las Vegas. I can tell you, it was a blast! If you’re a photographer or a creative/graphics person, you should attend this. I’ve always considered myself a student of photography, so I had a lot of fun learning new things from the pros and the experts. The event is not just about the classes though. There are a lot of things happening. So, in case you’re interested to find out what’s going on there and why you should go, I’m sharing with you my Top 10 Reasons on WHY you should attend Photoshop World. Register NOW (or before Feb 20); early bird saves you $100. If you’re not a NAPP member, you automatically become one. That’s a great bonus! That’s a total of $150 in savings! 🙂 Pretty cool! If you’re a newbie, an amateur, a pro photographer, or even a graphics/video guy, THIS is the event for you. Why? There are classes that cater to your every need. The event covers all areas of the creative world. If you’re a photographer and you want to learn lighting, there are classes for that. If you want to learn video or Flash to add to your portfolio, there are also sessions for that. If you’re looking into Photoshop effects, 3D, Photoshop video, they also have it. This is a great way for you to get inspired and to meet other professionals in the field. Yes, you can win something just by attending classes. Take for instance, the product below. I got that for FREE from attending a class on color calibration. How? Well, let’s just say that sometimes, there are sponsors in the classes and at the end of the class, the instructor usually draws names randomly. So, you have a chance to win something! This is one of the materials you get after registering. I warn you, it is a THICK book, the size of a phone book. It contains almost ALL (I say almost all because some classes don’t have their presentation materials here) of the presentations and steps that the instructors go through during their classes. With this, even if you missed some classes (because you can’t split yourself), you can still use this book as a reference in the future. This is useful for me especially because I can easily go back to this manual when I need to look at other tips for my photography. One of the effective ways to learn and improve your vision and technique in photography is to look at the work of the best in the industry. 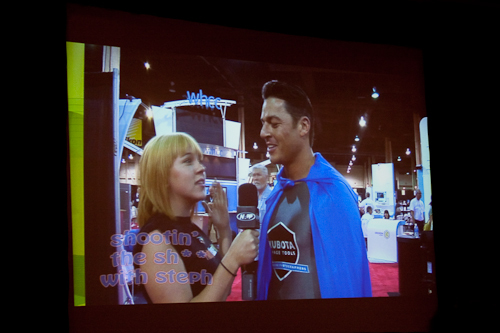 This is what happens in ‘The Art of Digital Photography’ session at Photoshop World. A group of photographers form a panel and then share their portfolio to everyone. Imagine this… Joe McNally and Jay Maisel sharing their photographs with you. Some photographers have it as a slideshow where they put music. Others share stories (especially Joe McNally, who has a lot of fun stories behind his shots) of how they were able to capture those images. If that doesn’t inspire you to go out and shoot, then I don’t know what else would. That’s an experience that can’t be replaced. I’ve attended a lot of training events and I’ve had my share of good teachers and bad ones. 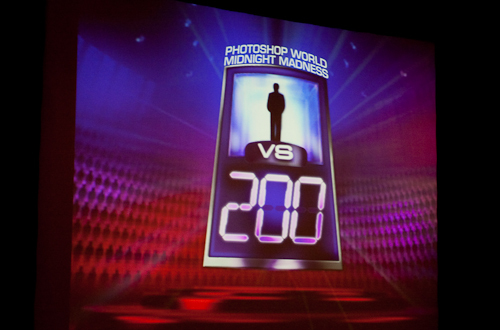 However, at Photoshop World, I was really really impressed. The speakers and instructors are very well-versed at their craft and they have the passion to teach. To me, that’s the most important thing. They want to share their knowledge with the group so that we all get better. A sign of a great instructor/teacher/speaker is that he can take criticism and comments. That’s surely one thing that’s being done at Photoshop World. At the start of each session, participants are asked to take down notes/comments for the class they’re attending. And then, at the end of the session, everyone is asked to submit those comments. There’s always a staff that reminds all of us to do this. To me, this is an indication that instructors, as well as the staff, take comments seriously in order to give us the best experience we can get at Photoshop World. 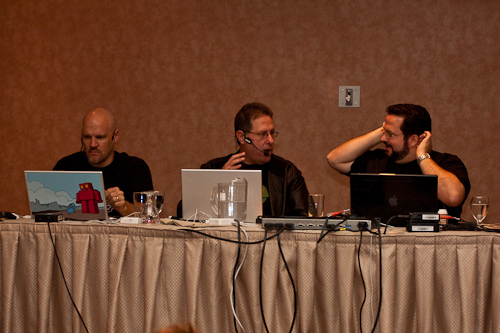 If you want to know who’s teaching at this year’s Photoshop World, here are the instructors. Stay tuned for the next part of my Photoshop World coverage. Late-breaking news – NAPP’s Photoshop CS4 Learning Center is now live! Go there and check it out to see videos of Photoshop CS4 in action. 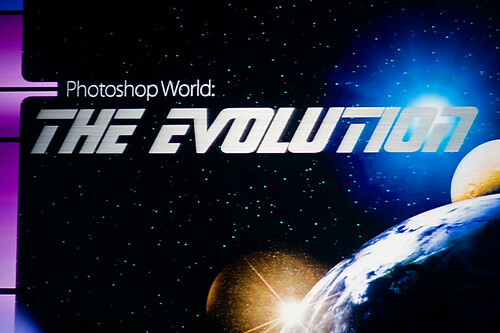 Also, here are the Top 10 new features of Photoshop CS4. Some of the things that I’m excited about are the new user interface, the Depth of Field via Auto-Blend Layers and of course, the Adjustment Panels and the On-Screen Image Controls. The other new features are already in Lightroom (e.g. Graduated Filter, Adjustment Brush, Post-Crop Vignetting) and I’m glad to see them put it in Photoshop. Also, some screenshots and pricing of the new Photoshop CS4 is available from Rob Galbraith’s site. Pricing is US$699 (US$999 for the Extended version) with an upgrade price of US$199 (US$349 for Extended) from CS3. Photoshop CS4 and other Creative Suite 4 apps are shipping 4th quarter of 2008. 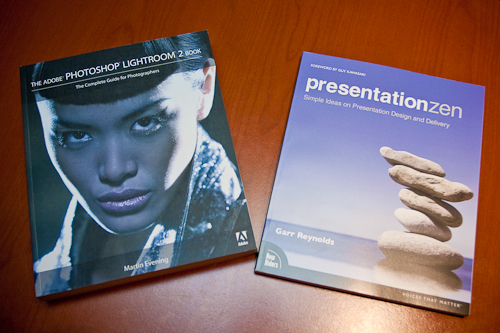 Here are some screenshots of the packaging of the new Photoshop CS4. Note: Photos/Graphics courtesy of NAPP/Adobe. Photoshop.com is now out. Photoshop.com was previewed during the Photoshop World Keynote as a service offered by Adobe where people can post their photos and share them online. If you are an existing Photoshop Express user, you already have a Photoshop.com account. It comes with 2GB of space. There are premium services being offered too. If you get the new Adobe Photoshop Elements and Premiere Elements, they also come with a Photoshop.com Plus membership that comes with 20GB of space so you have plenty of space for your photos and videos. They will eventually come out with something for Pros, so watch out for that. Check out Photoshop.com to try it out. You can download the Lightroom 2.1 from the Adobe Labs site. Finally, check out Lightroom Exposed. If you want an inside look at the structure of the Lightroom application, check out Lightroom Exposed by Troy Gaul of Adobe Systems. It’s pretty interesting to see how they developed it and how the interface has evolved. That’s all for now. See you guys next week! Wow, that was probably the fastest 3 days of my life. Photoshop World has just ended and I’m just finally getting my much-needed rest. I think I only slept a total of 7 hours in 3 nights. It’s probably caused by several factors like jet lag and too much excitement for Photoshop World. I will post some more info on the classes I have attended so that I can hopefully entice you to attend the next one in March 2009 at Boston. In the meantime, I’d like to thank NAPP for organizing a great event like this. This includes the staff, the video guys and the trainers. This was a great venue for photographers and graphic designers to connect with each other and learn something new. All the people helping out were very nice to the attendees not including the fact that they ALL work for NAPP! If you’re not a member yet, join now because it gives you access to a lot of their tips, plus a free subscription for Photoshop User Magazine. Finally, to all the instructors – you guys are great! You all have the passion to teach and really explain everything to us. You are each experts in your own areas and it’s a great experience to see all of you come together in one big event to teach. Aside from the Photoshop guys, I’ve attended classes by Laurie Excell, Joe McNally and Rick Sammon and it’s really a pleasure listening to them teach and share their own personal experiences to us. I have also seen good photography from them when they showcased some of their work during ‘The Art of Digital Photography’ session yesterday. Thanks guys, it was a great learning from you.